Ichabod Crane is sent to Sleepy Hollow to investigate the decapitations of three people, with the culprit being the legendary apparition, The Headless Horseman. It is the year 1799 and in the isolated hamlet of Sleepy Hollow, murder most foul has occurred. Three corpses have been found, each killed instantly, all decapitated. 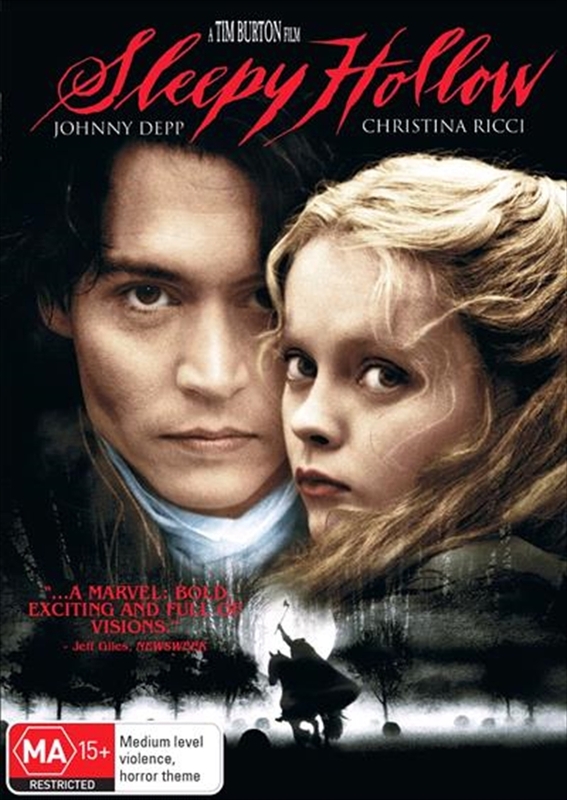 Visiting constable, Ichabod Crane (Johnny Depp), suspects one of the villagers is responsible but the locals believe the killer is not one of their own and most definitely not of this world... From Tim Burton, acclaimed director of "The Nightmare Before Christmas" and "Batman Returns" comes this chilling classic tale of suspense, murder and mysticism, starring Johnny Depp, Christina Ricci and Miranda Richardson.